At midnight, right as Thursday becomes Friday, three aspects of the infamous Patriot Act were set to expire. Members of Congress rushed to a vote on the measures to get them extended before the midnight deadline. The aspects that were set to expire had to do with a few important issues. They pertained to wiretaps, tracking terrorists who allegedly act alone, and the right of law enforcement to get their hands on any documents that they see as needed to any case so long as they have the proper authority from a federal judge. The United States Senate was the first to approve of the extension of the three details to the act. The act did pass in the Senate, but not until after some heated debating over the matters at hand. The final vote in the Democrat dominated chamber of Congress was 72 to 23. The House of Representatives quickly did the same. The Republican dominated chamber of Congress agreed to extend the Patriot Act by a staggering vote of 250 to 153. Then the bill was sent to the White House where President Barack Obama signed the legislature via autopen since he was in France partaking in the G8 Summit. 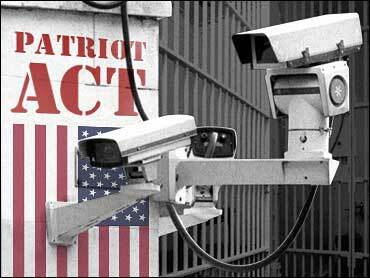 The Patriot Act is now extended for another four years. Some members of Congress believe that the measures should be extended permanently. Other members believe that the provisions under the Patriot Act negatively effect civil liberties and the rights of the American people. They say that the laws are invasive of the American people and should not be legal under the Constitution. One of the things the act does is make it easier for government officials to track potential terrorists and criminals. The wiretapping provision makes it so that officials do not have to get a new court order every time they need to track a new electronic device, phone, or person. Another provision gives the FBI the right to get their hands on evidence for international cases pertaining to intelligence and terrorism. The last provision makes it so that terrorists who are not a part of a larger organization, group, or alliance can no longer get past the government’s surveillance. Despite the debates that go on about whether or not the Patriot Act is beneficial, it has proven to make the fight against terrorism in the United States a slightly easier battle for America to win.